Matthew Waterman, presentation to Eastleigh Borough Council, 15 December 2016: Approximately 85% of existing journeys in the vicinity of options B and C are made by car. The addition of 6,000+ extra homes in these areas, which are rural, not urban, would introduce approximately 30,000 extra traffic movements to the already heavily congested local roads, per day. It has however been suggested that these options would be supported by a ‘strategic relief road’. It is very concerning to local residents that additional traffic would be encouraged to pass under the small railway bridge at Allbrook, which already suffers from significant flooding. 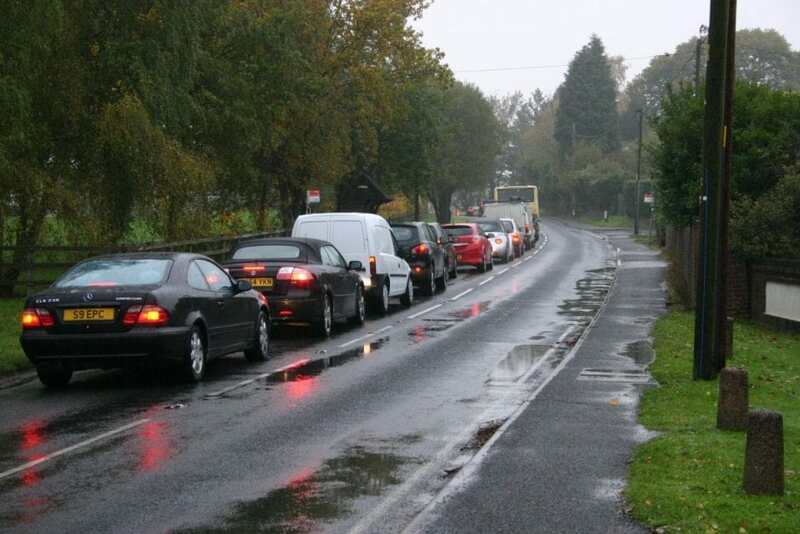 Inviting additional vehicles to Mortimers Lane would be similarly detrimental in that it can often take longer than 10 minutes to join Winchester Road, even when the M3 isn’t busy, causing motorists to divert through the small village of Durley. The proximity to the M27, which is likely to be used by a significant proportion of any future residents on a daily basis, is also a key issue. Options B and C are the furthest from this strategic road link than anywhere else in the borough, and to reach it, residents would be forced to drive several miles across the borough on already congested roads. The same can be said for those residents who would seek to use the train to travel to their place of work. Due to the distances involved, and lack of an effective and sufficiently practical bus service, they would be forced to use their vehicles to make their way to the station. If further development must take place on the proposed scale, and I’m not saying it should, especially as we are currently seeing rampant residential construction throughout the borough, it would be entirely judicious to pursue those options that are supported by the construction of a much-needed additional train station, especially one that is sited appropriately close to the new development. This would not only allow the use of trains without needing to drive to the station for new residents, thereby encouraging walking and cycling, but would also allow existing road users to switch to rail. This would provide a significant mitigation to development in the borough, which incidentally, the public does not consider to be part of Southampton. The pursuit of such fundamental principles, and those development options that permit them to be realised, should be a priority for any borough council, but particularly one that openly advertises its efforts to tackle climate change. This is just the tip of the iceberg, but I am hopeful you will now agree that options B and C are clearly the worst and you will reject them on the basis of traffic alone. Should you however disregard this considered advice, please remember that the public will hold you, you, and all of Eastleigh’s borough councillors directly accountable for the resultant chaos on the borough’s roads.